Sometimes setting down roots means going back to your own roots. 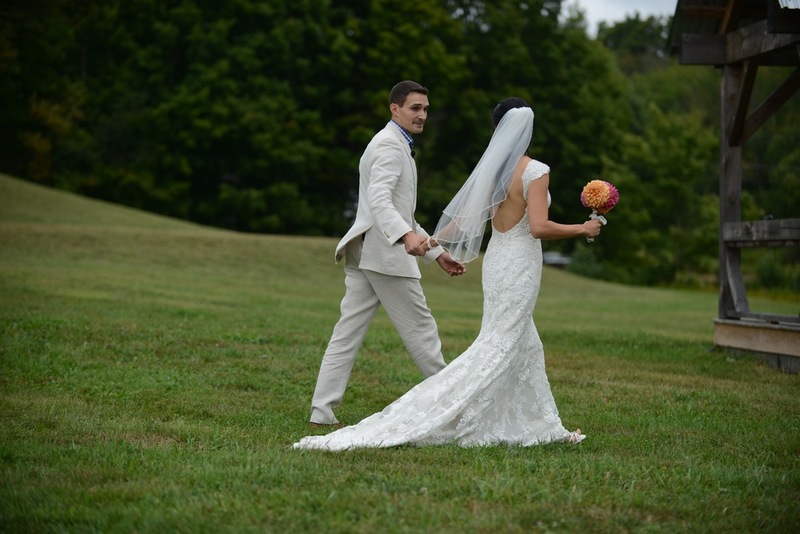 Meet Joanne and Aaron, two charming people who married on September 12, 2015 at breathtaking South Farms in Morris, CT. This couple certainly incorporated unique and personalized touches into their ceremony and reception. 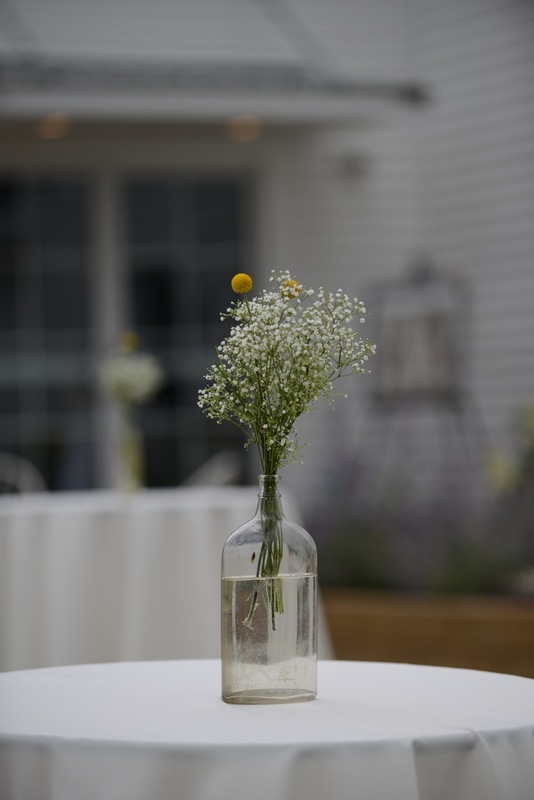 In fact, all of the décor was handmade and arranged by the groom, including the flowers! What a catch! 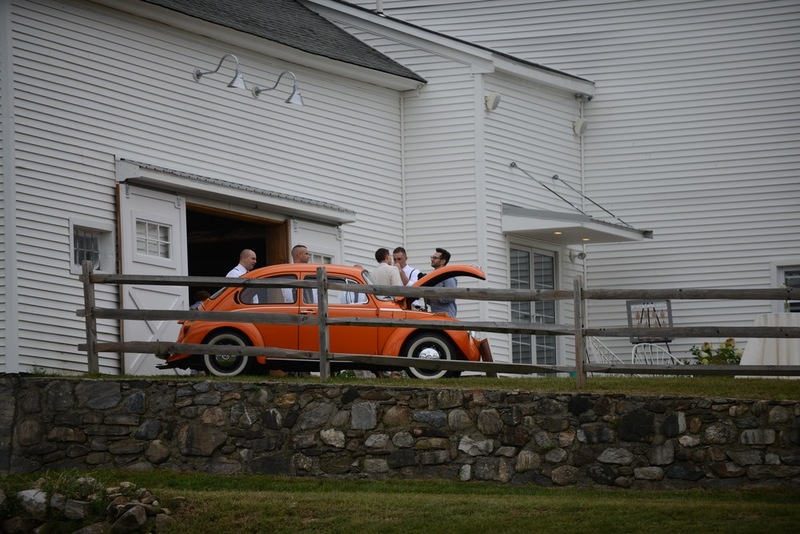 This couple decorated the ceremony and reception with antique accessories, like vintage bottles used as flower vases, an orange Volkswagen Bug used as a gift and prop table, and vintage signs to guide guests. 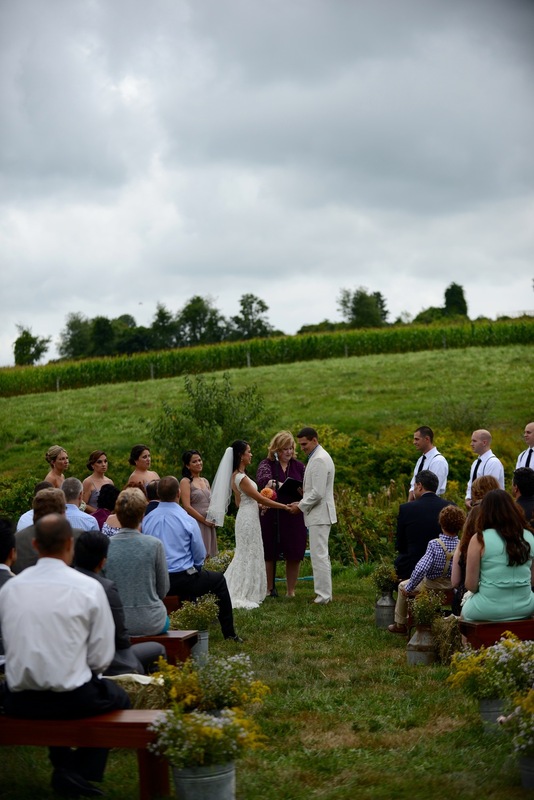 South Farms had never hosted a wedding, but the couple chose it for a very personal reason. 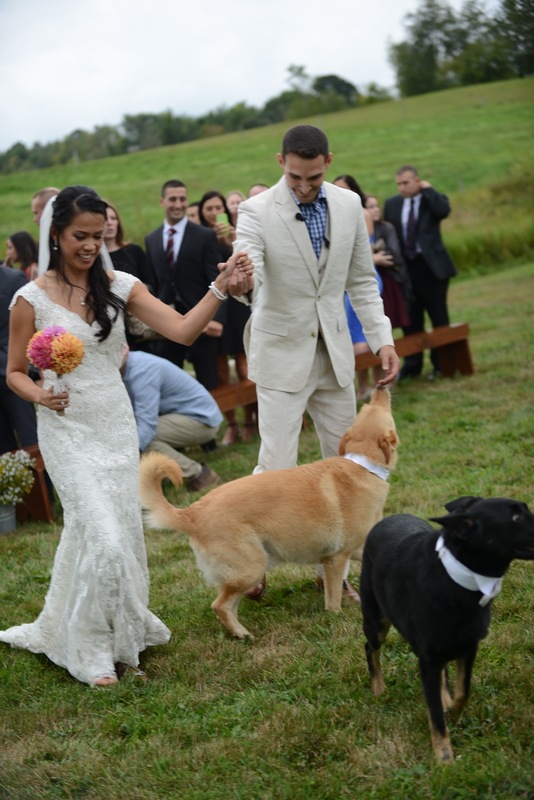 The venue allowed dogs in the wedding party! Family is family, we say. 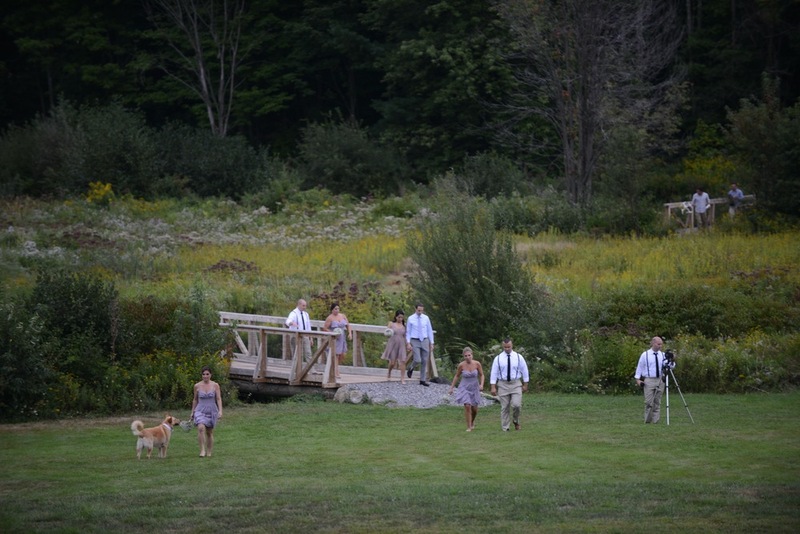 During the ceremony, guests were seated on benches and charming hay bales. The country chic aesthetic fit the couple perfectly, and it carried on into the reception. The food was delicious and full of homey comfort. We set up three stations at the reception, including summer grille, southern comfort, and a mac and cheese bar. Amanda Bakes served desserts out of an airstream trailer, which was another unique touch that had guests oohing and ahhing. Aaron was hesitant to hire an event planner at first, but by the end of the wedding, both he and Joanne were very appreciative of our work. We specialize in these fun, unique elements, so we were able to accommodate this couple’s needs to create a flawless event. We’re all about letting you tell your story. We just make it easier to tell! If you’re ready to plan your big day, stop by our website for more information about the services we offer. A special thanks to Mark Aikman for the photos below!! !